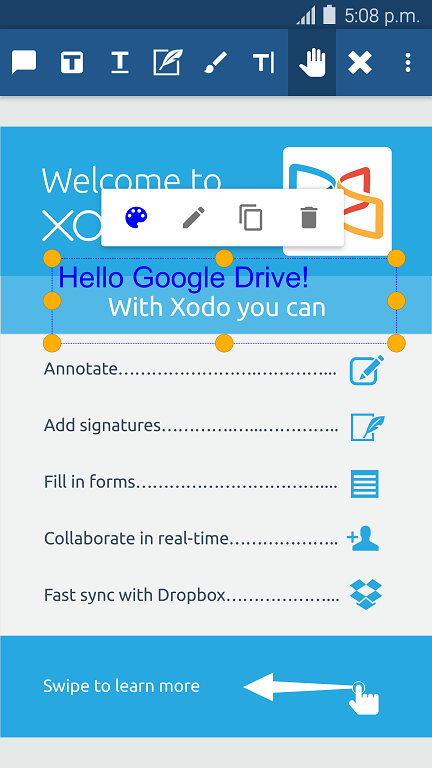 One of Xodo's most popular features is our integration with Google Drive, Dropbox and OneDrive. 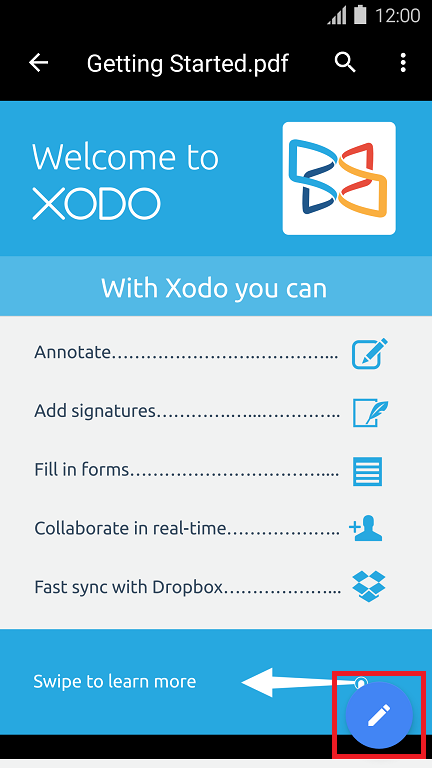 With Xodo, you can easily access, view, and annotate documents stored on Google Drive, Dropbox and OneDrive. 1. 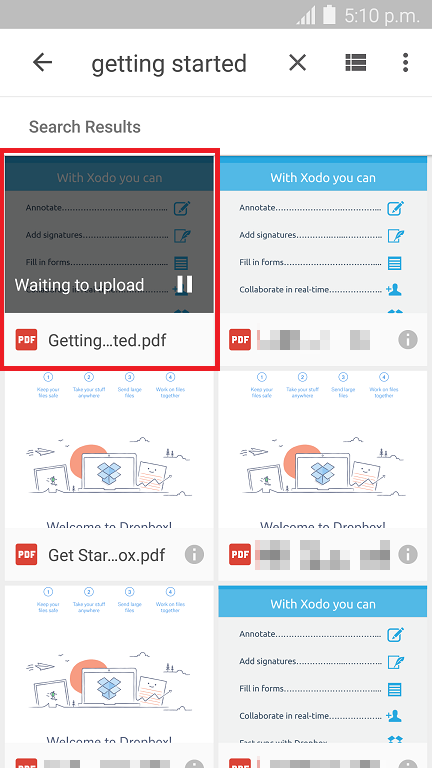 Select a file inside Google Drive App and click the Edit button. 2. 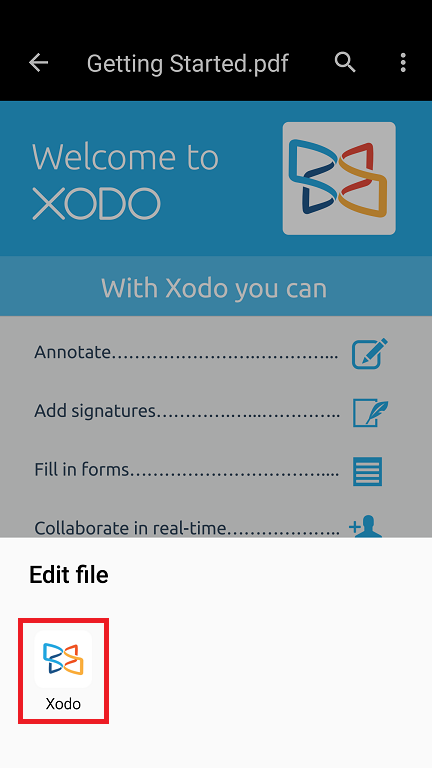 Select Xodo from the choice of apps. 3. 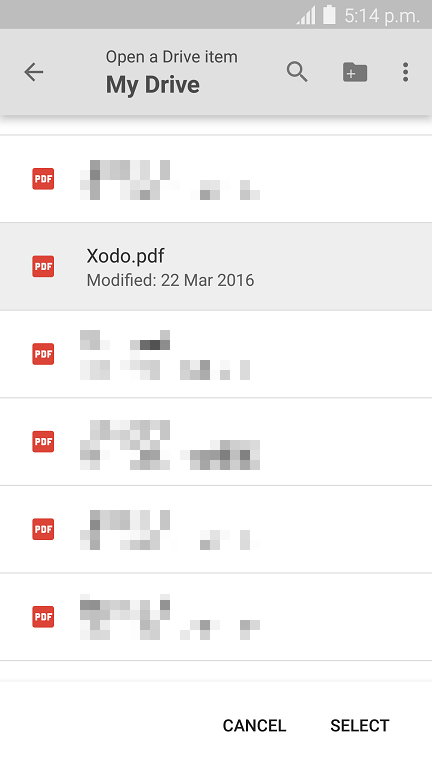 Xodo will open your document. You can now edit it. 4. After editing is done, click the system back button to return to Google Drive app. Then click the system back button again to go back to the files list/grid. You should see that the modified file is getting uploaded. 5. After your upload is finished, your changes have been synced. 1. Tap the Google Drive tab. 2. 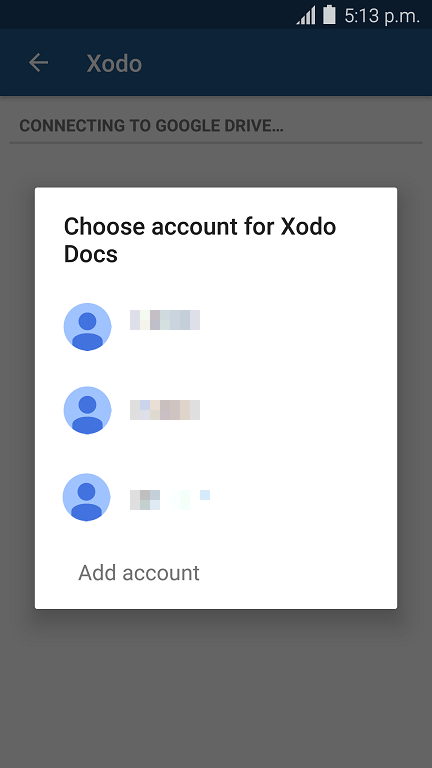 In the dialog, select the Google account you want to sign into. Tap OK.
3. When asked, grant Xodo the needed permissions. You should then see your Google Drive files. Choose the PDF file you want and start editing.